It’s business at the front and party at the back with the OrbitKey Leather Key organizer from Cult of Mac Deals. As well as bringing calmness to your keys this beautifully crafted leather keychain includes a stainless steel bottle opener. The OrbitKey is made of genuine, hardwearing cowhide leather with a design big enough to handle your key set. The locking technology keeps your keys secure, folding in on themselves for pocket comfort. There’s even an optional car-key attachment for unique designs. 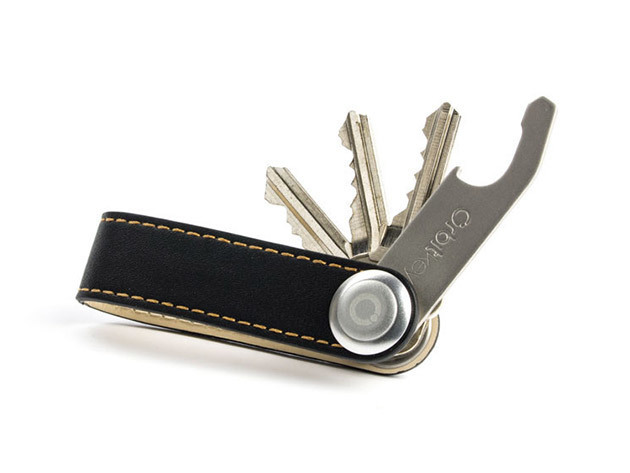 The OrbitKey Leather Key Organizer is yours for only $34.99, saving 26% on the retail price with Cult of Mac Deals.